I'm nowhere near as good as all of you, but I was real happy with my $33.54 worth of coupon savings at WalMart, today. flameworker wrote: Right on Jill. It is amazing what you can get when you mix the sales with your coupons. So many sales right now on items like ketchup, mustard, mayo, hot dogs, bratwurst, chicken, etc. I suppose for all of the 4th of July parties coming up. I scored 3 bottles of ketchup for .23 each, mustard for .26, Miracle Whip for .48....numerous other deals but those stick in my head right now. Wicked......wtg, saving that much in coupons is great. I don't score big like I just posted all of the time. It takes some time planning and watching the ads. This store I went to yesterday is usually one of our higher priced stores that I usually avoid but they had so many sales, in store coupons and then my manufacturer coupons on top of that that it was so worth going there. seriously - you guys need to offer you services as professional shoppers! My favorite shopping trip this week was rite aid. I got the 4 John Frieda for 20$, after coupons it was $4.50 out of pocket, and I also got a $10 up reward. 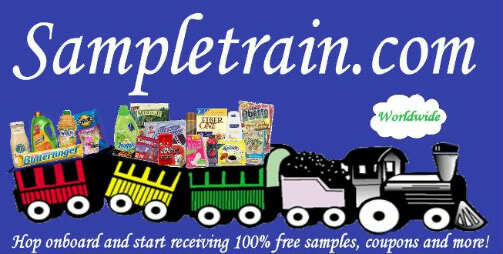 jersma wrote: seriously - you guys need to offer you services as professional shoppers! I have actually considered doing that. I would love to be able to grocery shop for people. CVS and Safeway all day!! hey guys... you know the coupon for the free suave shampoo or conditioner??? it scans at $3.00 ! i just bought shampoo yesterday and was ready to tell the checker it was $1.99 but when it scanned it showed $3 and the checker didn't have to enter a price! so i made $1.01 on that deal! Yeppers....it came up for me that way also. I pointed it out to the checker (I know, I'm too honest sometimes) but she said, it's okay, you deserve the extra for being honest. The free Pace coupon (IWG win) does the same thing. It's for $4 off and they aren't that much around here so the remainder was money made. Re: Pace- That's right, forgot about that, happened to me also. I have 2 Pace coups ready to use & it's on sale for $2.99. Note that the Pace IWG ends at the end of JULY. Also, last week I scored 36 bottles of Sobe for $1.80 total using CVS's B1G1 offer plus the B1G1 coupons from the IWG. I had to pay the .10 difference for half of them because the coupon value didn't completely cover the cost. Not complaining! Thanks Flame, that's the most praise & congratulations I've ever received. It was a young male checker and he said to me "dang, you made out like a bandit". He was so nice. I had 2 of the free hair color coupons and they were on sale for $5.97 each but he took off the full value of the coupon $8.99 each. Bought more Sobe also on sale for $.77 this week and he took off full value of $1.69 each for those as well. I felt like hugging the guy...... . He wasn't bad looking either. Had he been older and looked like Richard Gere I would have been all over him. Maybe get his work schedule so you can keep going back to him Take full advantage of those coupons. He'll probably think I'm stalking him if I do that. Run it's the coupon lady stalker!! You go girl!!! Jill.....can you imagine? He'll be going to his buddies and they would be saying.."Yeah right dude. A woman stalking you?"